BeneVision Telemetry, together with the BeneVision Distributed Monitoring System (DMS), enable monitoring of ambulatory patients across your healthcare enterprise. 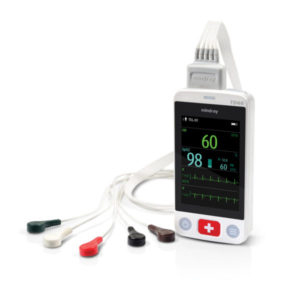 Using advanced technology, BeneVision TM80 and TD60 display telemetry transmitters aid in early detection of an ambulatory patient’s changing condition. With on-board touch displays, BeneVision TM80 and TD60 enable clinicians immediate access to critical information right at the patient. Comprehensive data sent continuously through to BeneVision DMS and the EMR provide a seamless patient record accessible where and when it’s needed. BeneVision TM80 enables surveillance of ambulatory patients, where and when it’s needed. Using standard Wi-Fi technology, TM80 permits expanded monitoring coverage across large care areas resulting in more monitored beds without added infrastructure cost. 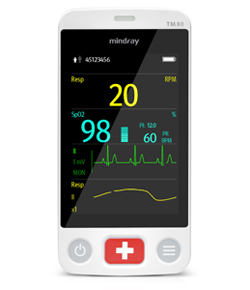 Mindray provides real-time wireless surveillance of ambulating patients across the continuum of care regardless of acuity level or location. Our network infrastructure delivers dependable, interference free transmission of vital signs patient data by utilizing licensed and protected wireless bandwidths. 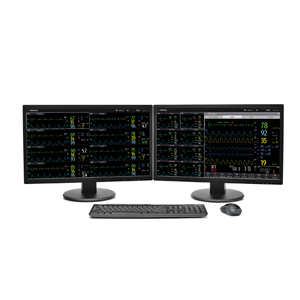 The BeneVision DMS is a full featured, real-time central monitoring system that offers clinicians a comprehensive and intuitive view of each patient’s vital signs. Fully configurable, BeneVision can be customized to display real-time monitoring data personalized to each patient’s circumstance. 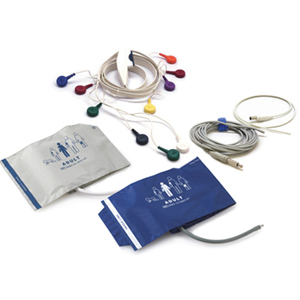 For your ambulatory monitoring needs, Mindray provides the supplies and accessories to keep you moving.